Israel reaches out to Christian Arab recruits by sending optional draft notices - a move with significant political and social potential. The push to increase the growing number of Christian Arab IDF recruits advanced Tuesday, after the IDF made a landmark decision to send out "voluntary draft notices" to Christian Arabs of recruitment age. Jewish Israeli teens receive their draft orders at the age of sixteen and a half, and are required by law to report to a local draft office to make arrangements for their IDF or National Service within a set time period after receiving the notice. But now, IDF Radio reveals Tuesday, Christian Arab teens will also receive a draft notice - but have the option to either volunteer or decline draft services. Analysts say the move - which has Israel actively reaching out to Christian youth to serve for the Jewish state - has serious political and social significance. Shortly after the report aired, the IDF made the official announcement on its Twitter page. "Over the next several weeks, the IDF will begin sending voluntary draft notices to all potential Christian IDF recruits," it tweeted Tuesday afternoon. "This will provide a wellspring of opportunity for volunteerism." In January, the Forum of Christian IDF soldiers revealed that Christian Arab recruitment is on the rise. The IDF does not provide precise numbers of Christians serving in its ranks, but the forum says the increase is significant and that there are currently 300 Christians serving in the IDF, 157 of them in the conscript army. According to figures presented at a meeting sponsored by the Defense Ministry late last year in Upper Nazareth, 84 Christians joined in the last half of 2013, triple the rate in past years. The forum says there are dozens more waiting in the wings. The Forum's leader, Father Gabriel Nadaf, has advocated for a strong connection among Arab Christians with the State of Israel but has been sanctioned by the official Greek Orthodox church over his views. MKs from Israel's Arab parties - all of which are staunchly anti-Zionist - have also condemned him, calling him "an agent of Zionism who seeks to divide Arabs". 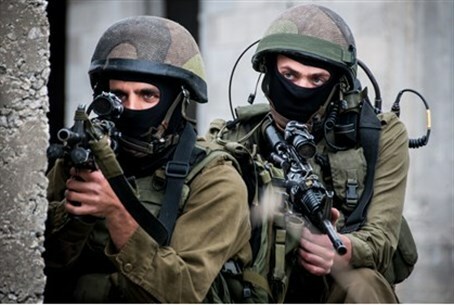 Attacks on Nadaf intensified in December, when his 17-year-old son was violently attacked in Nazareth. The attacker was identified as an activist from the extreme-left Hadash party. On Tuesday, Nadaf enthusiastically welcomed the news. "I welcome this important and historic step," he stated to IDF Radio. "The IDF found it necessary to prove that the Christian community was part of Israeli society, and integrate it into society as citizens with equal rights and equal duties."